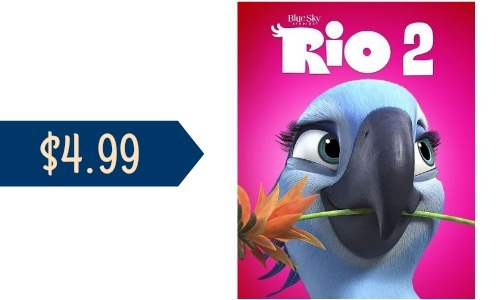 Head over to Best Buy to grab the Rio 2 Blu-ray/DVD Combo for $4.99, regularly $17.99. To add this to your car, you need to click on ‘Build A Bundle’ then click “Add to Cart.” This could be a great gift or just nice to have on hand for a family movie night. Offer valid for a limited time. Choose FREE in-store pickup.